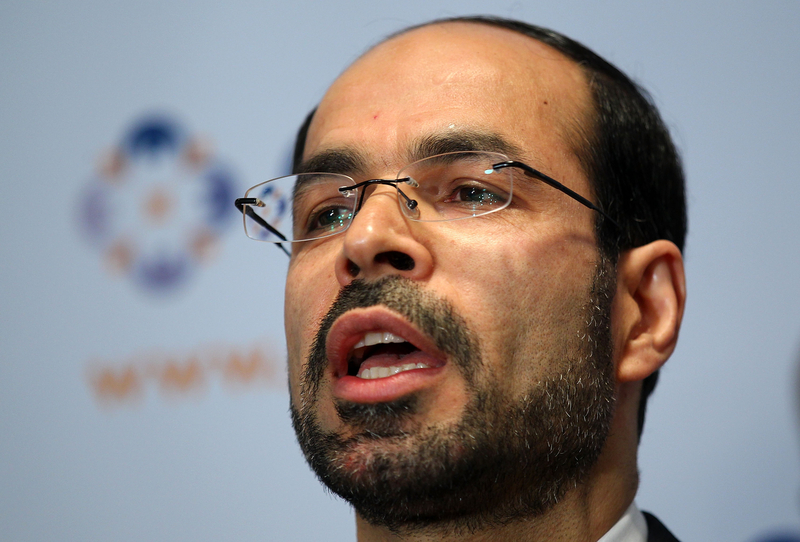 Council on American-Islamic Relations (CAIR) national executive director Nihad Awad. In an era of increasing anti-Muslim attacks, the Council on American-Islamic Relations (CAIR) markets itself as a mainstream Muslim civil liberties organization fighting tirelessly for the rights of immigrants, racial and ethnic minorities, and on behalf of religious freedom. To support its efforts, CAIR, like most other American non-profit organizations, solicits public tax-deductible donations from concerned citizens all over the country. Unlike most other non-profits, however, questions about what CAIR does with its donations have dogged the organization for years -- with good reason. Founded in 1994, CAIR's officials have long nurtured ties to extremism and funding overseas terrorism. Indeed, in 2009, the FBI banned its offices from cooperating with CAIR after federal prosecutors named the Islamist group an unindicted co-conspirator during the 2008 Holy Land Foundation terrorism financing trial. Despite its subsequent designation as a terrorist organization in the UAE, CAIR has so far avoided such a designation in the United States. However, as the Middle East Forum has uncovered, CAIR's activity in the months leading up to this November's midterm elections could land the group in hot water for other funding-related issues. Every American non-profit organization is subject to IRS rules that make it eligible for a federal exemption from payment of tax. One of the requirements for a registered charity's tax-exemption is that it may not be an action organization, meaning that it "may not participate in any campaign activity for or against political candidates." Non-profits are also prohibited from "directly or indirectly participating in ...voter education or registration activities with evidence of bias that (a) would favor one candidate over another; (b) oppose a candidate in some manner; or (c) have the effect of favoring a candidate or group of candidates." In the months prior to the midterm elections, CAIR stepped up its political activism nationwide. Multiple chapters published "voting guides" -- documents that summarize the platforms of the main candidates, the issues up for a vote, and that explain American election processes. Other chapters have held candidate forums, enabling local constituents to connect directly with candidates and ask questions. While this all sounds helpful and benign, some CAIR chapters' political "education" has been decidedly partisan. For instance, the CAIR Massachusetts voting guide names both Republicans and Democrats in its list of candidates in the running. But its "Candidates on the Issues" section is just a compilation of candidate answers given in Democrat-only fora, hosted by the organization OUR Revolution Massachusetts (ORMA) and co-sponsored by CAIR. In fact, ORMA confirmed to Islamist Watch that "only candidates running in the Democratic primary were invited to participate." Accordingly, CAIR-MA's voting guide did not include any description or analysis of Republican candidates' platforms at all, nor did CAIR-MA release a separate Republican guide featuring this missing information. CAIR-MA has overstepped its non-profit boundaries before. In June 2017, the branch called on candidate George Hodges to withdraw from a planning board election in Walpole, Massachusetts, after he posted seemingly bigoted statements on social media. On its Facebook page, CAIR-MA explained: "CAIR-MA is asking the planning board to repudiate his comments, and that the candidate withdraw from Saturday's election." CAIR's national branch shared the story on its own Facebook page as well, with the caption: "Candidate Asked to Withdraw From Race Over Islamophobic Facebook Posts." CAIR-Austin seems to be following in CAIR-MA's footsteps. Before the midterms, the branch held a "Meet the Candidates" forum -- and only hosted Democratic candidates. An addendum on the Facebook event page reads, "CAIR-Austin is non-partisan and as such invitations were extended to candidates running for office in TX-10, 17, 21 and 25 for both major parties." But, Islamist Watch confirmed with TX-17 Republican Rep. Bill Flores that CAIR never contacted him to participate in the event. Another CAIR-TX candidate forum event called Pizza and Politics also featured only Democrats: A former Democratic congressman and a former Democratic candidate for school board. Nor does CAIR simply support Muslim candidates. CAIR enthusiastically promoted Muslim Democratic candidates Rashida Tlaib, Ilhan Omar, Abdul El-Sayed, and Tahira Amatul-Wadud, but does not appear to have extended support to Muslim Republican candidate Omar Qudrat. In fact, each of those candidates has even received campaign donations from CAIR board members, but CAIR ignored Qudrat's candidacy. None of this represents the first time CAIR has engaged in inappropriate partisan activity. In 2015, CAIR's executive director Nihad Awad held a press conference where he called for Republican presidential candidate Ben Carson to withdraw from the race. At the time, Carson accused CAIR of violating its non-profit 501(c)(3) limitations, saying: "(CAIR) recently demanded that I withdraw as candidate for the 2016 presidential race. By doing so, the organization has brazenly violated IRS rules prohibiting tax-exempt nonprofits like CAIR to intervene in a political campaign on behalf of -- or in opposition to -- a candidate." It is not clear why this flagrant violation of IRS regulations (or any of its other openly partisan behavior) has not led to an IRS review of CAIR's non-profit status. In 2011, CAIR did temporarily lose its tax exempt status -- for not filing tax returns for three years in a row. Politico reported on the controversy: "CAIR could not produce their IRS disclosure forms for 2007 through 2010 -- which are required to be open for public inspection." CAIR claims that one of its goals is "Empowerment of all minority population voices," but CAIR's partisan advocacy says otherwise. The group seeks to influence Muslim American voters to embrace its biased political outlook. It is not clear how CAIR has managed to retain its current tax-exempt status in light of its behavior, but it's time for the IRS -- especially the Commissioner of Internal Revenue Charles Rettig himself -- to reconsider CAIR's privileges once again. Samantha Rose Mandeles is the Islamist Watch coordinator. Follow her on Twitter at @SRMandeles. Daniel Krygier is a writer for Islamist Watch, a project of the Middle East Forum.